You love your new website. Really, really love it. You love it so much you want to base a targeted mailing piece on the graphic design. Or you want to create a leave-behind when making a sales call, and you need a sales sheet or brochure that reinforces your branding. With each, you want to create a specific message in print, and draw people back to your site. So, you might ask, Why can’t I just have my already designed web page printed? If only it was that easy! It’s not. There are many variables between paper and your computer screen. While it’s possible to reincarnate your webpage layout in print, it’s not usually the best solution. Differences in sizes, resolution, and amount of content all impact your design, and the medium to communicate your message. So what considerations guide the design of a printed piece based on a web page? Websites are not designed for high-quality print: The reason is resolution, which can be defined as dots per inch (dpi) or pixels per inch (ppi). Anything that’s part of a web page will need to be upscaled and/or re-created from scratch to appear in print. At PRI, we always try to work with your source files for the crispest, sharpest images. A good rule of thumb for printed pieces is that your graphics should be a minimum of 300 dpi. Web graphics are typically 72 dpi and will never, never, I promise you, never print well. This goes double for logos—if you cannot obtain an original, clean, preferably vector* version of a logo, don’t even bother including it in your printed piece. Infinite colors online, limited colors in print: Online, you can use any of the millions of colors available—the only limit is the size of your monitor. But in print, color has a definite cost value. 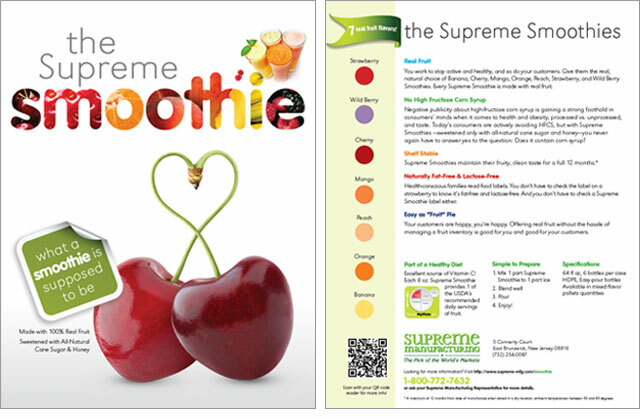 Your budget will determine if you need to create a one- or two-color print version of your colorful online brochure. Instead of trying to replicate your webpage, we prefer to take a focal element and make it the mainstay of your printed piece. The length, scope, and movement of your message: Another benefit to the web is that you can put as much (or as little) information as you like on a page. Want to have all 50 reasons explaining why someone should buy your product, with jump links? (We don’t suggest this, by the way, but you could.) Or include a movie or animated text? Those are all things you can’t physically convey in the same way on a printed page. Think carefully of how you’d like that message to come across in a more direct way. Or instead of trying to get a broad view in one document, your printed piece might be a nice leave-behind that focuses on one special aspect of your message. Style: Pieces can be designed as part of a complete suite; they need not be carbon copies of each other. Brevity: The costs and limitations of the printed page vs. the Internet force you to choose your words and message more carefully—which in turn may help you hone your online message. See the following screens for examples of both. 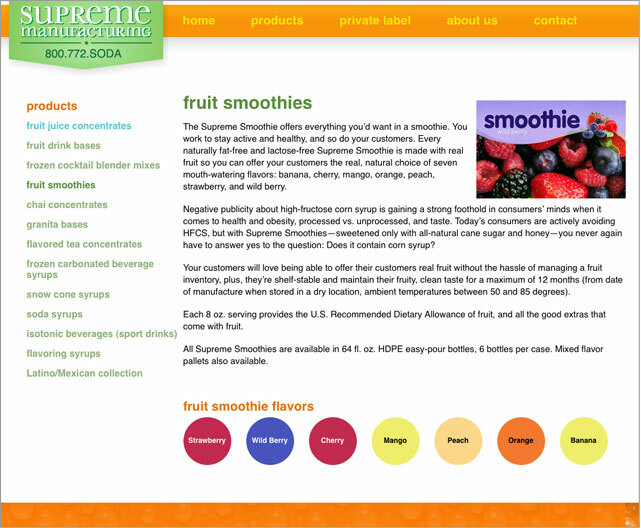 It includes a list of flavors and a brief introduction of the benefits of the product line. And yes, the website design came first. Rather than show the entire product line, this sales sheet focuses on an appealing view of one product line with highlights of all of the pertinent selling points. It includes a custom QR code that links directly to the website. While these items aren’t carbon copies of each other, they do contain many of the same elements (colors, fonts, large dots to show flavors) so that the visual branding is reinforced. It’s clear that they are companion pieces in the same campaign. This leaves a lasting impression with the customer, that’s further reinforced when they visit your website and see your message. Your website may have all the elements that can make for a great printed piece, but it is not as simple as copy and paste. * Vector graphics are a resolution-independent, scalable format composed of individual objects made up of mathematical calculations. Vector images can be resized easily without loss of quality making them an ideal format for initial design of logos and illustrations that to be used at multiple sizes.